I haven't watched The Simpsons in years, but I think I'll start watching the funny and clever show again now that the politically correct critics are weighing in on the Abu Nahasapeemapetilon character, who is voiced by Hank Azara (seen in the below illustration). Yes, the character can be viewed as offensive. Or it can be viewed as satire, an exaggeration for comedic purposes. 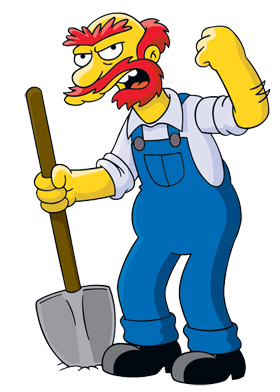 I'm half Scot-Welch and I'm not at all offended by Groundkeeper Willie (seen in the below illustration), who is voiced by Dan Castellaneta. 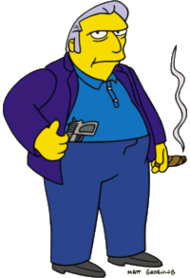 I'm also half-Italian and I'm not at all offended by mob boss "Fat Tony" D'Amico, who is voiced by Joe Mantegna (see the top illustration). The Simpsons make fun of nearly everyone and everything. 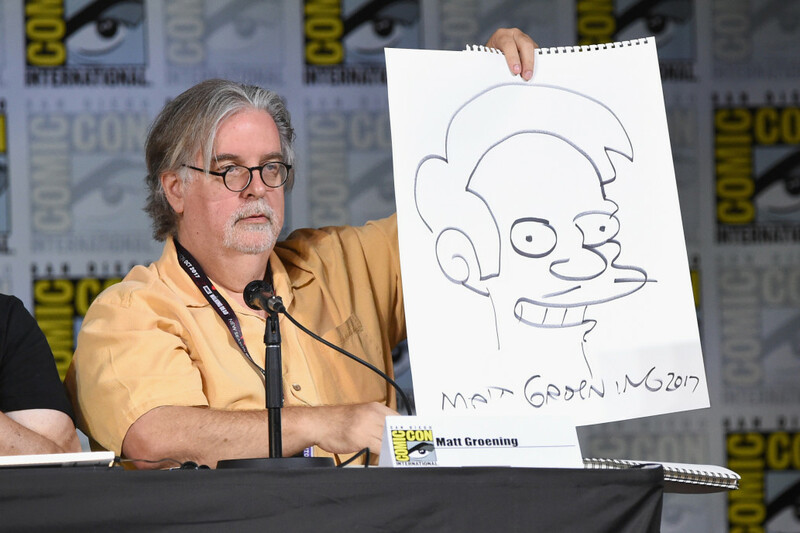 So I was pleased that the New York Post offers a piece on Matt Groening, The Simpsons' creator, responding to the silly criticism. In a recent interview with USA Today, “The Simpsons” creator Matt Groening addressed the criticism around character Apu Nahasapeemapetilon for the first time, and seemingly questioned the outrage. He also spoke about a “Simpsons” episode that aired on April 8 in which Lisa, during a scene, faces the camera and says, “Something that started decades ago and was applauded and inoffensive is now politically incorrect. 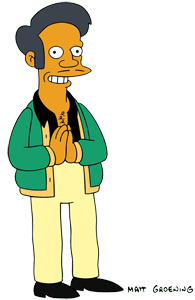 What can you do?” She then looks over at a framed picture of Apu, which has the line, “Don’t have a cow!” written on it. 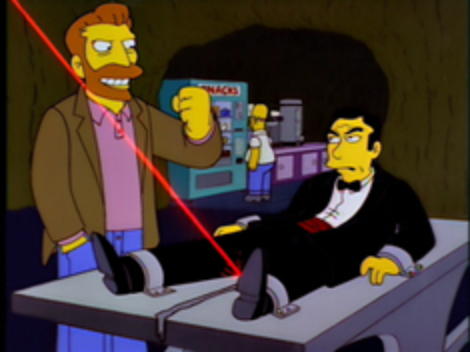 I’m a life-long Ian Fleming aficionado and James Bond fan, and yet I found The Simpsons James Bond parody to be very funny. The show offered the sympathetic point-of-view of the classic Bond villain.